NUTRITION. Oh boy, it’s a tricky one (when you’re just beginning). Because I’m a diabetic, I have fortunately been able to go to diabetic and healthy heart trainings. At these trainings, they go through the basics of how to eat healthy food, count carbohydrates and test your blood sugar to see how it is affecting your body. I have also had the opportunity to learn from and consult with a team of dietitians for many years of my diabetic life. Not everyone has access to these groups and a registered dietitian, which is such a shame. So when I opened up my 21 Day Fix eating plan that came with my Challenge Pack and looked through the book and held the containers in my hands, I was pleasantly surprised to find the containers followed what I had been taught by those dietitians, nurses and doctors all those years. 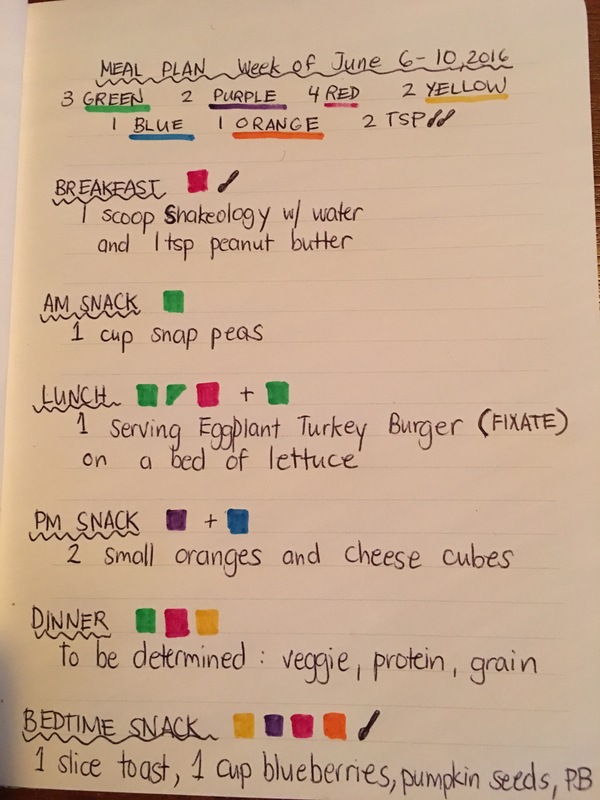 The eating plan is based on clean eating principles but taking those to the next level with portion control, which is where I personally have the toughest time. It has made staying true to my nutrition goals so much easier. And it has made meal planning more fun too! 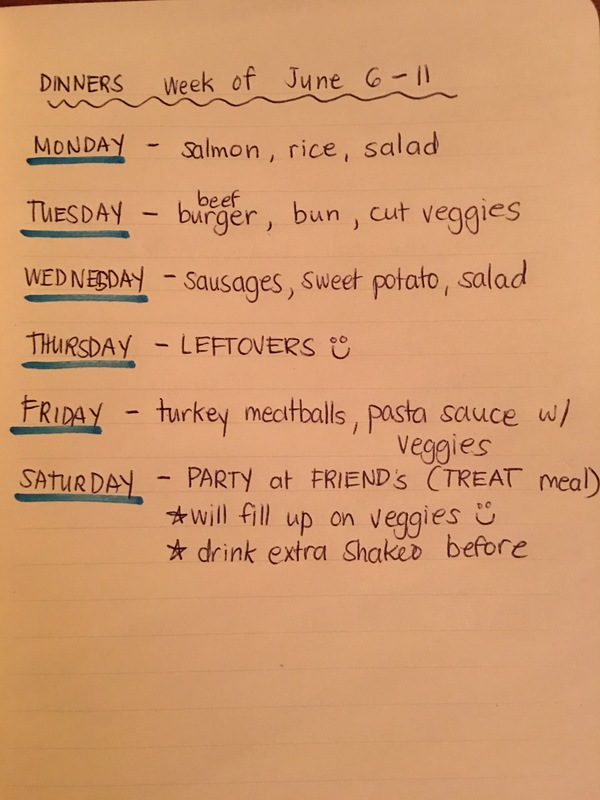 Dinner planning for the week! Do I ALWAYS follow this plan to a T? No! But it’s always a good thing to have it.